Charlie Lee tweeted a link to a talk he gave at Rackspace back in 2014, three years after founding “the silver to bitcoin’s gold.” In Lee’s presentation, he outlined the metrics of success in determining the quality of an altcoin. Naturally, his primary focus was measuring the open-source bitcoin code fork, Litecoin. The value of Lee’s 2014 presentation is its relevance to the 2018 market. Swaths of altcoins have flooded the market, along with the same get rich quick schemes. The thousands of market entrants has subsequently created a new demand for cryptoasset investment criteria. A number of books, personas, and templates for finding the next moonshot are springing up just as quick as the myriad airdrops are dropping and hard forks are forking. But do you remember the days of Namecoin and when Litecoin’s 2.5 minute confirmation time was truly revolutionary? So how does this revolution stack up nearly seven years later? On February 7, 2018, Lee tweeted out to followers a link to a talk he gave at Rackspace in 2014. Below the link, also attached a hierarchy of what it takes to become a successful altcoin in the cryptocurrency ecosystem. While his primary focus is on the development of Litecoin, his schema provides an interesting thought experiment. Where does bitcoin, bitcoin cash, ether, and ripple fall on this scale? What can be said regarding adoption rates of all cryptocurrencies? One of the fundamental differences between Litecoin and Namecoin, for instance, is the fact that the Litecoin network does not compete for Bitcoin miners. When an altcoin uses the same Proof of Work (PoW) as bitcoin, miners are inclined to switch between it and bitcoin depending on profitability. The more valuable coin would attract more miners which would lead to a more secure and robust network. Lee explained that this was a problem for Namecoin because the security of their network would be contingent on the price of the coin. Litecoin avoided this by adopting another mining technique called Scrypt Proof of Work. He admits that he, “stole the idea from Tenebrix” because it would ensure that miners would still be attracted to mine Litecoin even if bitcoin prices took off. Specifically, the founder wanted miners to mine bitcoin with their GPUs and Litecoin with their CPUs. In the subsequent jump from GPU to ASIC miners, Litecoin also jumped to GPU mining. Today, there exists ASIC miners exclusive for Litecoin. Individuals can measure the security of a network along a handful of vectors, but the primary indicator of a network’s health is its hashrate. This measurement indicates how much computational power is being used to mine a coin; the higher the hashrate, the greater the amount of energy extolled to harvest new coins. Using data from BitInfoCharts, we can see the massive rise in hashrate for Litecoin between August 28, 2014 (Date of Lee’s presentation at Rackspace) and February 13, 2018. A similar graph points out the increasing difficulty of mining Litecoin. 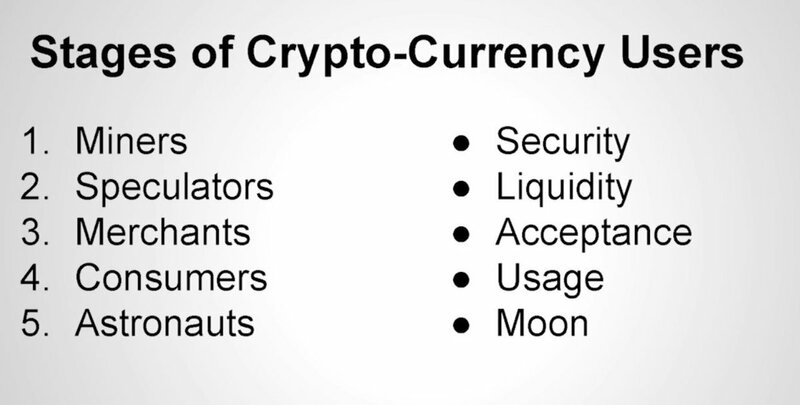 At the beginning of his presentation, Lee also explained that he wanted Litecoin to be complementary to Bitcoin. The psychological attraction to a “cheaper” silver alternative to gold was a primary reason for choosing a different PoW schema. Initially, Litecoin did exactly that. It followed Bitcoin’s market cap closely and remained a steady 1/30 of the pioneer cryptocurrency’s value in 2014. In 2018, Litecoin offers roughly 1/18 of Bitcoin’s total value but has slipped beyond the number two spot in the ecosystem. While it does still follow bitcoin’s ebbs and flows, this could be said about every altcoin. For a clearer comparison, Litecoin’s market cap is larger than that of Western Union’s and around half that of tech giant Twitter. The liquidity of an asset gives buyers and sellers an idea of how much a market will be disrupted based on certain buy and sell orders. It is an indicator of stability and thus highly relevant to cryptocurrencies. In 2014, Litecoin experienced an exchange liquidity of $2,600,000. In 2018, this has bumped up a significant amount. According to CoinGecko, Litecoin’s 24-hour trading volume on Okex, one of sixty crypto exchanges that trades Litecoin, stood at $153,041,191. These are very positive metrics as they indicate a growing coin that is thoroughly supported throughout the market. It also makes Litecoin relatively attractive from a trading perspective thus positing its emergence as more than just an altcoin. This characteristic is perhaps one of the best and most accurate indicators of a coin’s entry into mainstream consciousness. In 2014, Litecoin boasted 446 merchants in the world that accept the currency and 4,999 for bitcoin. In 2018, merchants for bitcoin pushes above 11,000. Unfortunately, Coinmap no longer gives information on Litecoin adoption rates due to a lack of Litecoin donations. It isn’t farfetched, however, to assume that adoption rates of bitcoin are closely related to adoption rates for Litecoin. The payment processor, Litepay, will also help to stimulate these figures. In 2017, we have begun to see more merchants adopt litecoin, such as cryptocurrency ATMs and those who adopted bitcoin early on. Moreover, many payment processors such as Litepay, including Globee, Aliant Payments, and LitePal. 2018 should see a greater rate of adoption. This figure is measured by determining how much Litecoin in US dollars is being spent or exchanged between individuals. From his presentation four years ago, Litecoin rarely pushed above $250 million in a day. At the time of press, over $2 billion worth of Litecoin was sent in the last 24 hours. However, it is still quite troublesome exchanging litecoin to cash. We see litecoin evolving from store of value to medium of exchange, suggesting that is has progressed pretty far in the five stage outlined in this article. If anything, the above analysis of Litecoin should remind readers that cryptocurrencies are thriving in the digital era. Naysayers from a few months ago have also gotten on board. Naturally, the technology backing many of these cryptoassets is also gaining genuine attention from influential institutions. Lee, like many in the business, concludes his talk with the final destination after currency usage. Well more difficult to measure, the result of achieving all six of these steps should be enough to earn a ticket to the moon, no matter the coin. Much of the information gathered in this article was derived from Charlie Lee’s talk on August 29, 2014, Litecoin: From Genesis to the Moon.